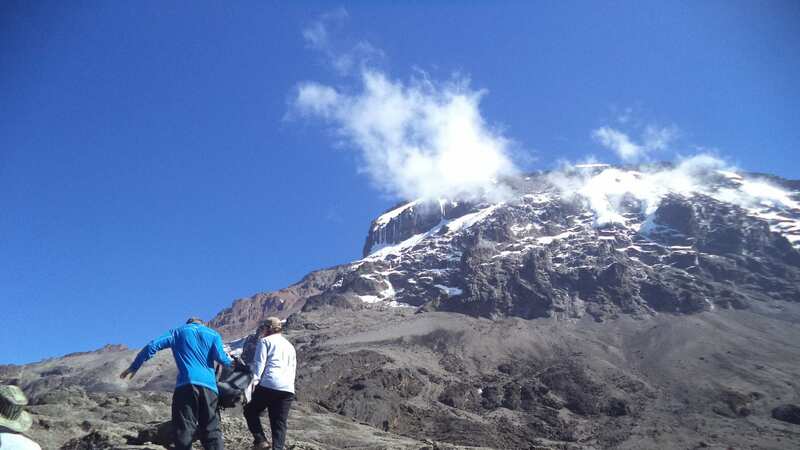 There are minimum expenses every Kilimanjaro operator faces, such as park fees, staff wages, food, equipment, transportation and other logistical costs. Kilimanjaro National Park entrance fees, camping/hut fees and Tanzanian taxes by far make up the biggest expense, costing about $180 per climber per day. The other significant expenses are staff wages, food, and transportation costs. Local wages amount to around $80-$150 per climber per day (depending on group size). Food costs come out to about $10-$20 per climber per day (includes food for staff). Transportation costs are about $100 per trip depending on the route. There are also costs associated with wear and tear on camping equipment and administrative costs for arranging your climb. By adding up all the daily costs listed here, you can estimate what it may cost to fund a Kilimanjaro climb on your own. The long and short is that it can cost anywhere between US$2,000 and $4,000 to climb Kilimanjaro. This excludes flights, clothes and gear. You would probably need to add on at least another US$1,000 for those things depending on where you live and how much gear you already own. The climb price alone depends on a lot of factors including things such as tour operator and itinerary. As we mention above given that the biggest cost involved in climbing Kilimanjaro are the park fees, no tour operator can undercut another by any serious margin. What they can do, and a lot of operators do this, is to pay their staff below minimum wage, provide low quality food, and take the shortest and least scenic route up the mountain. This is why other outfitters are often much cheaper than outfitters who are working with the porter welfare group KPAP (http://www.kiliporters.org/). Operators registered with KPAP follow all the mountain rules, including fair treatment of porters and guides! Exploitation on Kilimanjaro is a major problem and choosing cheap operators only enhances the welfare issues. Once again, the cheap operators will take you up the shortest and lest scenic route -like the Marangu route, and sometimes if you book 7 days trip they can take you to 6 days in ore.
ECO-AFRICA CLIMBING has begun the qualification process to become a Partner with the Kilimanjaro Porters Assistance Project (KPAP). Please contact info@kiliporters.org to confirm this. Tanzania VAT on tourism activities and park fees. Adequate and appropriate number of guides, porters, and cooks for your group. Sleeping mattress pad(s), dining tent(s), sleeping tent(s), and crew’s equipment– Dining tent and sleeping tent not applicable on the Marangu route as all meals are served at the camps in designated dining halls. 2 nights in a hotel in Moshi on a Bed & Breakfast basis and Double Occupancy (1 before trekking & 1 after trekking). Emergency evacuation cover by KILIMANJARO SAR HELICOPTER but the climber must have an insurance which cover up to 6000 meters above sea level. Chief guide carries a Pulse Oximeter, used to take blood-oxygen level readings of clients twice a day. Salaries for mountain support crew, as per required MINISTRY OF TOURISM and KPAP. Private hikes can be arranged for individual climbers but additional fees would apply to arrange a private climb. These tips are paid as a group rather than by each climber. For example, in a group of 5 climbers, each climber would contribute $4 – $6/day for the guide’s tip. We are doing ethical climbs and responsible Trekking; we believe the tourism industry has an obligation and a great opportunity to protect the world‟s natural habitats, cultural heritage sites, and communities. We actively promote environmental sustainability and social responsibility.